Identifies and details recent progress achieved by advanced electromagnetic energy sources in materials processing. 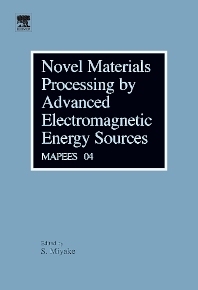 Explores novel approaches to advanced electromagnetic energy processing of materials in an attempt to discover new and unique industrial fields. High energy physicists, and electronic materials scientists.